HOME SoCal since 1994 CharmandHappy.com CONTACT US | QUOTE | BOOK NOW! 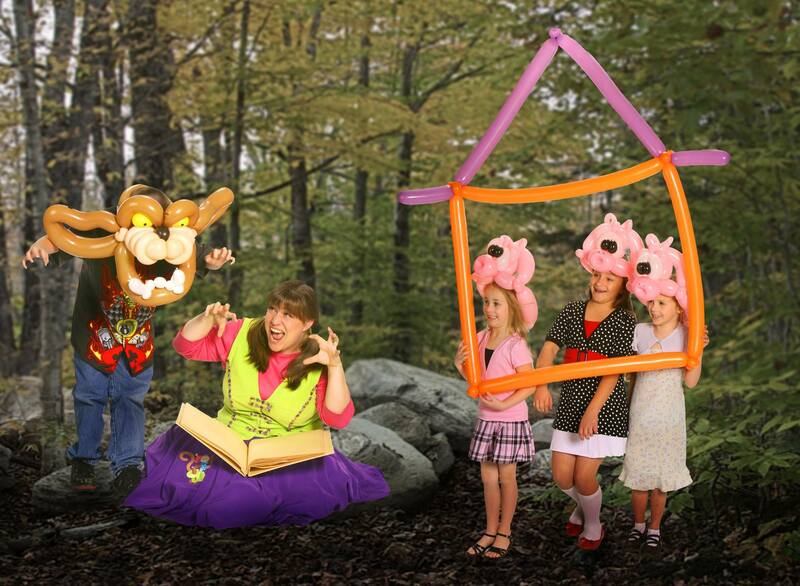 Ballooney Birthday Bash Annie makes awesome balloon sculptures for all of the kids at your party. 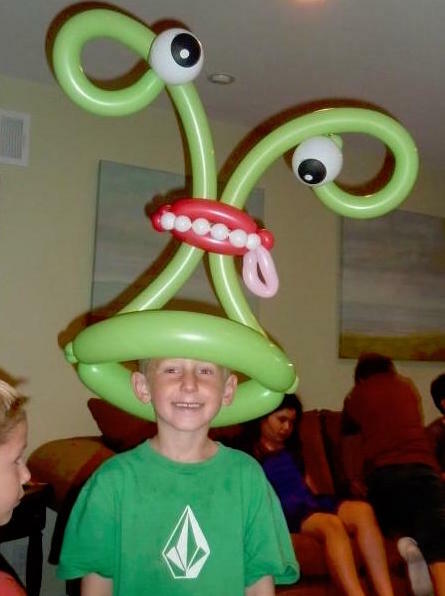 You’ll be amazed at the creations you will see — swords, princess crowns, jet packs, fairy wings, and even wonderful balloon headband “fascinators” for the older kids. 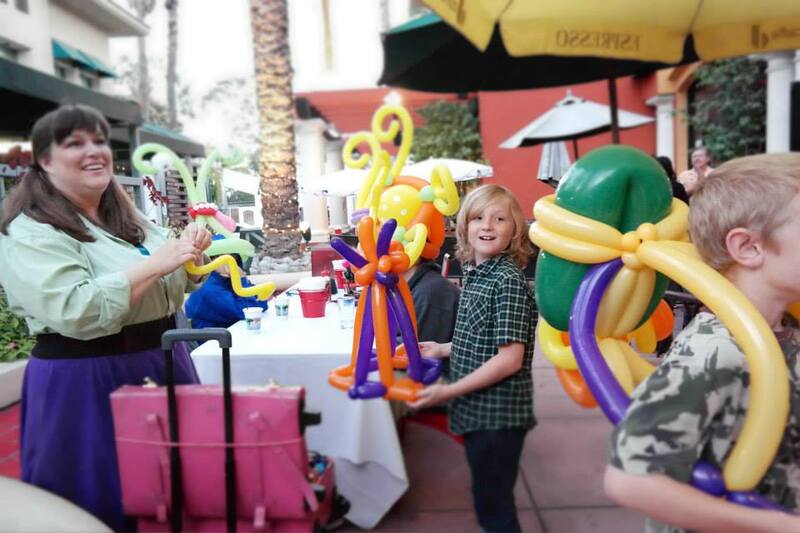 The kids know she can make them anything they ask for, but the smart ones always ask for a surprise – because she's been performing with her balloon creation skills for a long, long time, and she has all sorts of ideas! Other options available. Rates available via email or phone. Your guests will have a crazy awesome dance floor! 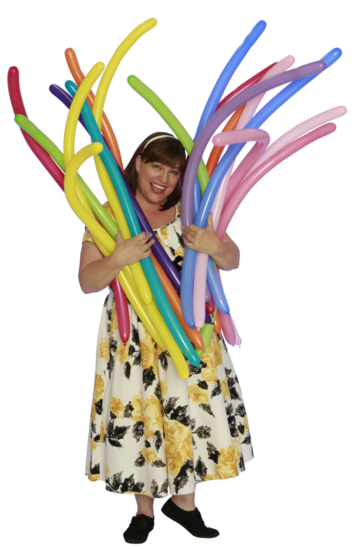 Amazing Balloons Annie will flood your dance floor with a sea of color and excitement for the best experience! Having a big First Birthday Celebration at a restaurant or community center? Those are her specialty! Give Amazing Balloons Annie a call and we can talk about her special first birthday party or other packages the best fit your needs. 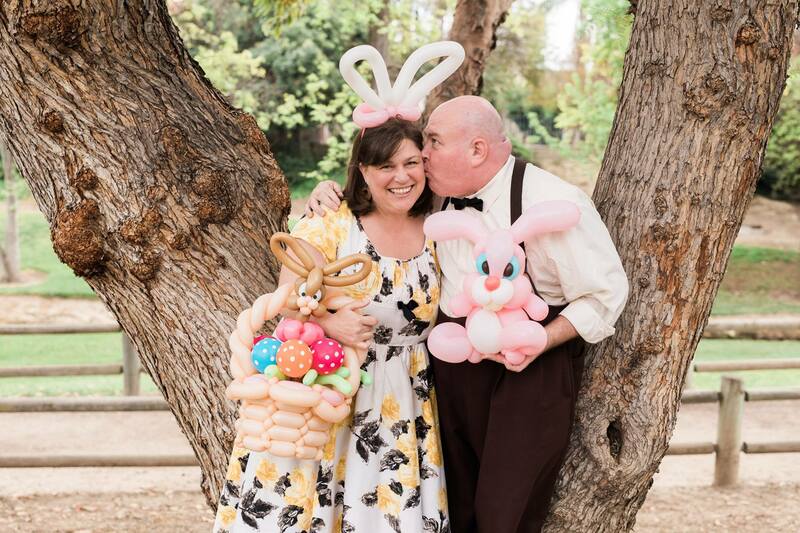 $450 Amazing Balloons Annie creates an interactive themed balloon storytelling show with audience participants as the epic stars of the show. What better Love story than a pop art one? Look at those smiles. These two have real charm! Intrigued? 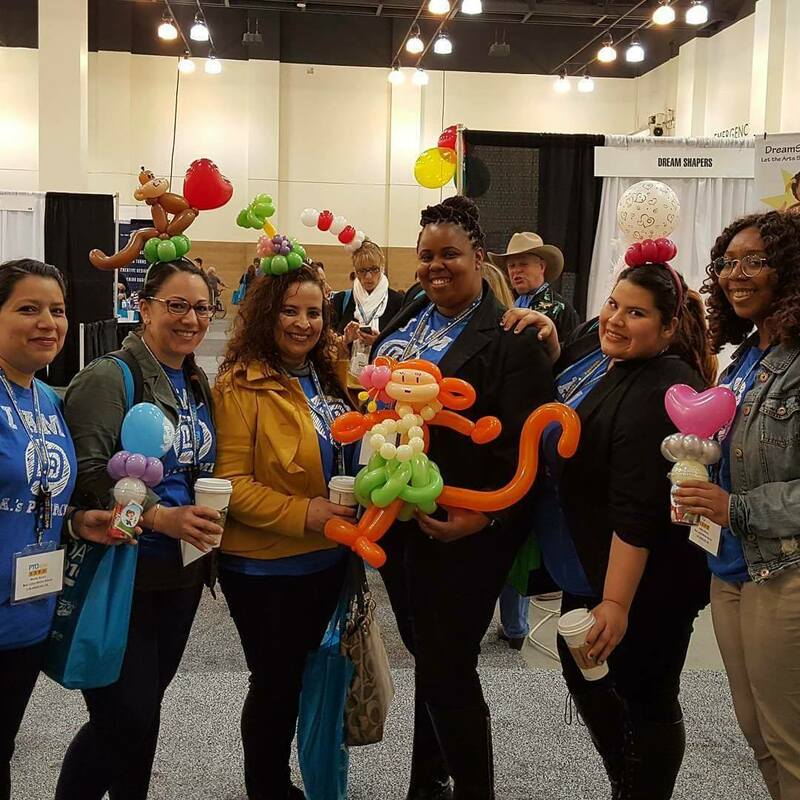 We’d love to have a chat with you to learn more about your event, party or holiday including Amazing Balloons Annie.